This book was written for those earnest individuals who are drawn to a more experientially empowered lifestyle, individuals who want to realize more of the truth of themselves in each and every moment. This rather short book is intended to function as a sober tool that imparts clarity and wisdom, which the reader hopefully will be able to use and confirm in her own experience. That being said, I sincerely hope that understanding the significance of the vantage points illustrated here will positively influence the reader. Let us just for a moment contemplate the possibility of only you existing. That is to say that your subjective reality alone is what exists. Anything external or anything that is considered to be objective is merely a thought that appears in your consciousness. Is this contemplation a mere fiction or could it be true? In other words, is it true that the objective world exists and then you the subject, or is it truer that first you the subject exists then the world. In this book I will propose the latter, i.e. you exist and then the world arises. Though ones own or other people’s thoughts may furiously argue with this statement or maybe some would even go so far as to consider it to be arrogant. That being said, when one truly contemplates and entertains this thought, nothing can in reality oppose this fundamental truth of existence. Namely that all realities and all sentience have their origins in a subject that is there to perceive them. The main theme of this book circulates therefore around this following statement: life is indistinguishable from experience and the more directly you live your experience, the more fulfilled you shall be as a human being. This book will attempt to work as a clear, concise and powerful tool for you the reader to embark on a journey towards more directly experiencing your reality, and hopefully help you in some profound way to transcend the tendency towards indirect experience. This may sound unclear or even contradictory to you at this point, but that may change soon, or not, because paradoxes is a great way of bringing your attention back to your direct experience. Before we get started however I would make a brief and somewhat feisty comment on how I see the whole of human society. From my perspective the whole of modern society has seemingly agreed to be obsessed with this narrative of the psychological mind and intellect. All the educative systems, especially universities and the higher educations have precisely this as their preoccupation, but I dare say they are leaving something crucial out while being hypnotized by the apparent spectacles of the mind. What they are missing from their educational formula is the conscious aiding in the fulfilment of the individual through the empowerment of her direct experience. The fundamental truth of the subjective based consciousness is something that is not sufficiently acknowledged, recognized and therefore not cultivated by the educative system. I view this as a great existential misfortune for not only students and teachers but also the entire populace in that given society, a misfortune most people are likely unaware of. Academicians could be people who possess a plethora of knowledge but could simultaneously be seen as lacking insight when considering the possibility of most of them being out of touch with their own direct experience. Why would I consider them less insightful, you may ask? Well because they are navigating the world chiefly through the paradigm that the intellect and the reductive mind incessantly gives birth to. 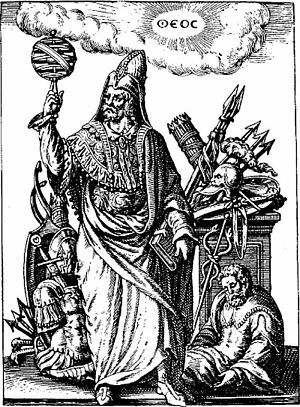 What I propose therefore is to first and foremost reclaim ones mind from the clutches of conditionings and ideology, and then dissolve it in ones direct experience. What exactly is direct experience and what’s so great about it? I find this to be a great realization for the mature mind, and in my view a mature mind is nothing other than a mind that is ready to fully receive that naked truth i.e. you can never not be here and never not be in the now. If you would object and say well sure I can, when I’m dead and gone. I would then reply by saying, that is only a thought, which in reality is a thought that you are having in the here and now. That being said, who knows what curtains are going to be unveiled when that “last moment” of death comes knocking. However what you can do and where your immediate powers truly lies is rather in how you meet the actuality of every moment. 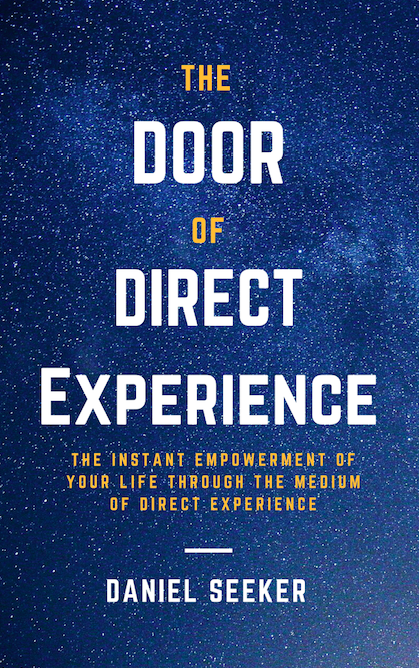 The door of direct experience is simply a metaphor that signifies the possibility of one consciously diving into the entirety of every moment that is presented before oneself, as this moment always happens to be available for you and your growing more into it. The present moment is filled with infinite possibilities of expressing itself, precisely as it is now doing through billions upon billions of subjective sentient beings on this planet and most likely the entire universe. From this fascinating vantage point consciousness becomes synonymous with infinite possibilities and expressions, it can and does renovate itself into what ever it feels like, though maybe “it” doesn’t “feel” in precisely the same way as a human being does. Your awareness of every moment is itself the moment. Your awareness and the object that is being seen cannot truly be separated from your consciousness, except as I said previously, by the medium of thought. Thought is an important topic when it comes to the journey towards a more direct experience of life. Because thought has the power to guide but also to misguide, it has the power to strengthen but also to weaken, it is in fact a tool, but as any other tool it shouldn’t be making a tool out of us. When you are a master of a palace, you shouldn’t be subject to the capricious will of your guests. When the guests come into your home and take over it, then you know that something has gone terribly wrong. I am firmly convinced that this truly is the case with the psychological aspect of mind for humanity, a condition that is common today and perhaps has been so for countless years in the history of humankind. This psychological identity has somehow taken over and made the intuition a slave to its rigid rules and preposterous ambiguities. Your intuition is more in tune with your direct experience, and that is as we shall see what I propose to be the most important point when it comes to an individual’s capacity to live a fulfilled life. When your experience is lived too indirectly, that is when your egoic mind is constantly filtrating and judging the input that your consciousness is receiving, and/or perhaps when you are consuming more than you are creating, this is exactly when the soul goes through its claustrophobic and desperate time. Your being longs to be more fully in this moment, it is ever seeking a way to be fully absorbed in the totality of existence, but something is there that seemingly hinders it. This something can be called the psychological mind; the ego, the identity, the I-thought and many other names have been ascribed to it. The important thing to recognize is that this “mental something” clearly hinders us from blooming into direct experience, which in turn is something that seemingly is holding back the consciousness from living life more fully. Your task, hopefully with the help of this book and perhaps subsequent sequels, is to discover exactly what that mischievous psychological mind is and how to dismantle it once and for all. We shall overcome the limits imposed on us, whether done by others or ourselves, and you shall hereby be known as the overcomers. Your heart longs for unity with the now, it longs to be fully in the moment where your personal problems are dissolved in the totality and intensity of every second. Life cannot truly be fathomed but only experienced. If you happen to be one who is trying to understand and analyse life in its totality with only your intellect or your psychological mind, I dare say that you are bound to at best arrive at some meagre conclusions. These may be conclusions that may or may not provide some existential gratification, but the door of direct experience isn’t concerned about mere gratifications, it’s rather focused on the full existential liberation and creative freedom for you as an individual. Having embarked on this journey, you should know that I’m not attempting to intellectually satisfy you or to strengthen your personal ambitions. In some ways I will not even be trying to make sense, rather what I will be trying to do is to empower your direct experience, as I find this to be the most fulfilling and earnest thing a human being can do. Why? Well mainly because direct experience brings you to yourself and when you’re brought to yourself, your true colours can shine unrestrictedly. This is also where you and the moment are so totally intertwined that you can simply be yourself as life unfolds according to its own spontaneous laws. Life is at its greatest when it is spontaneous, and in human beings there happens to be two kinds of spontaneity. Namely unconscious spontaneity and conscious spontaneity, and the latter one in my humble opinion definitely is the greater of the two. Unconscious spontaneity is simply one being lost in the moment either by rush of emotions or circumstantial moods, and sure enough it can feel quite entrancing for the person who is lost in its unfolding. However what we are searching for in this writing is to consciously immerse ourselves into the spontaneous life, effortlessly and naturally because it is in fact our original way of living. Life becomes rigid, stale and predictable when it is not lived through ones immediate intuition. It becomes decadent when life is not grasped with the heart but constantly analysed, reduced, filtrated and judged with the mind. Now there is nothing intrinsically wrong with the reductive tendencies of the analysing mind, in fact it is this same mind that is responsible for the development of many great disciplines within science. However you can bet your life on that there is something remarkably wrong when ones subjective experience becomes hijacked by perpetual illusions, fantasies and expectations of what life should or should not be. Furthermore illusions that hinder your direct experience from actualizing, that is by giving way to indirect experience. It is important to meditatively know that it is the same mind, meaning the same underlying mechanism, that works in the laboratory conducting rocket-science compared to lets say the mind that is worried frantically about Kim Kardashians break up. Not to take anything away from science, or Kim for that matter, but I’m simply stating the truth, as I perceive it. It is the same mechanism, perhaps used in different ways or realms but still one and the same. Mind is a great tool and servant, but as I said, it becomes a menace when it makes us into its tools and servants. Science and philosophy may be considered the climaxes of the intellect and our civilisation, but their heights still fall short when compared to the complete existential understanding of ones self and ones reality that arises when living life more directly. Life is always played out in the here and now, and when you consciously sink your teeth in into the here and now, that is also when you break down the walls of your projections and expectations. This is when you see life for the first time, as it truly is, namely pure experience. You are simultaneously the witnessing and happening of life. You cannot be separated from it, even if you tried. How can you be any different or separate from the totality of your experience of yourself and your surrounding world? Sure, you can identify with an aspect or something that appears in the screen of your consciousness, i.e. the psychological conditioned mind, which I dare say most people do, but that happens to be a very limited scope of you who and what you are. It is a very limited way of expressing oneself and going through life. Especially when one considers the fact that your consciousness is so filled with possibilities and is so incredibly vast in its range of expressions in comparison to the psychological and culturally conditioned beliefs and convictions concerning life. When you are fully immersed in your experience, that is in the here and now, the room for identity and psychological noise becomes weaker and weaker, until it one day just vanishes completely from the face of the earth, i.e. your awareness. This is the gift of aligning your attention with your direct experience, and this is the gift I wish to reveal unto you, a gift that is already yours and which no one can ever truly give or take away from you. Life is experience, and the more fully one is immersed in the immediacy of the present moment, the more one is fulfilled. There can be no life without a subject to experience it, furthermore this entails that experience is indistinguishable from life, and vice versa. Without an experience or experiencing of life, there could be nothing called life, no one there to say this is or this is not. This is what I call an absolute subjective outlook on what life is, and from this point of view life is not primarily the biological functioning of the organism but more so the perceiving of all phenomena that is appearing on the screen of your consciousness. If we would further clarify what this outlook could mean, we could do so by taking the example of a new born baby, a baby that has no conscious notion that it is a biological entity, at least not in the same way that most people normally are after they reach a certain age. The baby is rather just aware and conscious of the totality of each moment. In other words the sensory and mental input that it receives from the “external world” is so intense that no self-image has any relevance, room or potential to grow in his or her consciousness. Life for the new born baby is therefore much more direct and unfiltered, compared to lets say an adult that has been conditioned by his society, school and environment into adopting certain attitudes and beliefs. What happens when the baby grows up is that it becomes conditioned into a certain mode of personhood. It’s like an operating system, which has been both consciously and unconsciously formed by the society and culture in which he/she finds himself. Furthermore since the art of being a person is the hottest topic on the mouths of modern people, how could this baby ever stand a chance against those masses of programmed people marching towards it while trying to consciously and unconsciously convert it each and every moment. Therefore the baby is, after it is susceptible to becoming a person, transformed internally into a limited self-reflecting ego mind that believes that it is only its biological and psychological functioning and conditioning. This dear reader is not my recommended path towards the door of direct experience. This is rather a closed shut, bolted gate that is very hard to open and enter. In my view, this personal mode of existing is quite a life-negating and disempowering world-view to adopt and foster, yet it is a mode that all human beings must experience, and ideally transcend. The mature human being is the one that realizes the limitations of this personal mode of navigating the world, and then decides to move further and higher into herself, or in other words into more direct experience. This in turn means the thinning and fading away of the separate ego identity that is, in a strange way holding the consciousness as hostage. You could now be thinking, what exactly is this personal mode or psychological ego that I’ve been so furiously condemning, and who are we if we are not our bodies and minds? Can you tell us that, Mr know it all? Well this depends on how open one is to the light of direct experience. If one has gone through life assembling fantasies about reality and if one has the tendency towards building high protective walls around ones identity, then it could indeed be quite a challenge to give an answer to that supremely important question. My best and most honest answer would be that no one can tell you who you are, only you can know this, and how you know this is by totally being yourself, and that begs the inevitable question, how are you totally yourself? You are totally yourself when you are in alignment with life through direct experience. Everything is then answered through experience and not through theory or thought. This book is not an exposition of philosophy; its message is beyond the intellect, which all philosophies are based on. All the words written here are solely meant to point you to that realm within you which is already so, namely your direct experience. I’m only attempting to point out the aspect of you, which is more of a meditative and intuitive nature. Hopefully we will succeed! You are an overcomer after all. It is important to distinguish that direct experience cannot be given as a gift or an object. Direct experience is always there, but something in the mental realm of the sentient human being sometimes has a tendency of preventing the individual from being immersed in it fully. This is one of the motivations, I believe, for why people turn to spirituality. That is to find a way to be more fully immersed in their direct experience and presence. I find presence to be a great word, mainly because it can easily be contrasted with another word that has relevance to the subject of this book, and which also happens to be a word that starts with P, namely person or personhood. From my view these are two modes of navigating through the world and the universe as human beings. On the one hand we have the person, who is inevitably carrying some personal baggage because that is in fact the name of the game when it comes to being a person, lots and lots of baggage. Now what does that really imply? Well, it means that the person carries his personality and his life story in his back pocket at all times, always trying to attract or fend of other separate entities or persons in the marketplace called society and life. Unfortunately it also means that the person lives life indirectly, instead of directly which I have stated, and will continue to state, is the worthier and nobler goal to strive towards. The person is simply incapable of being direct or present, and whenever a person apparently becomes more in tune with his or her experience, it is not the person doing the “tuning” into the present moment. Why you may ask? Well the only time a person can truly be present is when his original presence takes over the steering wheels from the clutches of the psychological mind, and then that also means the vanishing of the person. This inevitably brings us to the other side, namely the idea of presence, which I find to be a clear and direct word that has a lot of good things going for it. For starters, it is quite obvious that presence has no personal problems in the same way a person has, presence is rather and more simply just here to be here. It is always in the here and now and is always available for a myriad of various direct experiences. It has no real preferences as it can contain within itself pain and pleasure, fear and fearlessness, happiness and sadness, love and hate, greed and generosity. Presence is therefore much more vast in its experiencing of life. Having said that, this does not mean that an individual who navigates through life as presence would prefer intense pain to pleasure; it’s rather that they wouldn’t be so attached to the outcomes of their life in exactly the same way a person would do. You might object by saying, isn’t that a bad thing? Not to be attached to the outcomes of ones life? Well, a little bit of concern and planning is necessary and no doubt good for you, but it becomes unhealthy when life is being lived in the projections of ones mind more than in ones own immediate experience. Furthermore people who are in tune with their presence are infinitely more free and at peace when it comes to the dynamic dance of life, than say the person. The person most often seeks to make stable that which by nature is unstable, furthermore it always seeks to gain or add unto its own personal luggage. Additionally, in some strange and neurotic way, the identity of the person or his personal luggage even becomes their obsessive love-object that they won’t trade for anything else. In other words the person becomes very often quite reluctant to leave his or her state of personhood, even if they are wise enough to know that they are being harassed and their quality of life is being poisoned by its trickeries. In these people’s minds they simply don’t know anything else than to be a person, because that is in fact what they have been growing up with. Namely the ingrained belief that everyone is a person and one has to take everything through the filter of personhood before it becomes your experience. That being said, if one is perceptive enough one can easily distinguish why this state of personhood is so stubborn and persistent in human beings. To name a couple prominent factors that are seemingly holding back the consciousness from direct experience, we could begin with the apparent sustainability of the personal state of existing. This could be said to be because of both the comfortability and recognisability that the personal state of existing brings to the table. The person feels like it is safe in its projections or in its gadgets and shenanigans and thus it perpetuates an indirect experiencing of life. When one becomes too comfortable with a certain way of living, one is often quite reluctant to change it for anything unknown or different, even if it means that one would be far healthier and better of without that which the comfortability so adamantly defends. So it is precisely this that the person, ego, identity or what ever we want to call it has going for it, namely that it is like a conditioned comfort zone that one so easily recognises and therefore slides back into. You, the reader, I hope want to move beyond this bubble of the conditioned mind, for I get the sense that you have some noble aspirations within you to dive deeper and fly higher into the magnificence that is life. My words are solely and completely written for that achieving purpose. As conscious human beings, we have two fundamental powers at our disposal when it comes to subjectively creating our reality. These two are the power of attention and the power of belief. For example we humans have the ability to direct our attention towards an object and in doing so allowing that object to be the centre of our reality for a certain span of time. If you want to put this to the test, you could in this very moment just pick any object lying around in your room or surroundings and simply be aware of it. When doing this, be aware of how your reality becomes aligned and how it then orbits around that very object, and you could truly go to the greatest lengths when it comes to enhancing an object to become your reality. Not so long ago, I heard something that really made me grasp the power of the attention in relation to this idea of creating ones own reality. It was about a very dedicated phonetician who had studied the consonant /s/ for two decades. Now let that sink in and lets ponder that for a moment. This example concretely corroborates with the idea that I’m putting out there about the capacity for us to subjectively create our own reality. The letter and consonant /s/ was this individual main objective, many hours a day, five days a week for twenty years. This was occurring somewhere in the world at the same time where most people who are living on this earth haven’t broke a single conscious sweat about that sound. Sure enough they have most likely used that letter and sound, but they definitely haven’t been dedicating their entire adult lives to it by actively studying it. In other words the life of this phonetician was and had been consumed by a single sound that the mouth produces. Isn’t that a profound thing to think about? Now that we have reflected on this important matter, I can just clarify and conclude that the point of this analogy was to demonstrate the sometimes forgotten power of ones attention. That is wherever you direct your attention, whether it is a consonant, a painting, a song, cooking food, shooting guns, dancing in the streets, kissing frogs or what have you, it becomes your reality. Now on to the second fundamental power that can shape how people perceive their own realities, this is of course as mentioned, our beliefs. The first thing we should make clear before demonstrating the power of belief, is to ask the obvious question of what belief is? In my humble view, belief is a process of mental attachment of a person to a certain idea that appears in the life of that person. This can vary from being a physical, mental and emotional object and these objects can be concerning anything and everything imaginable. To give a concrete example it could be about the existence of dinosaurs that lived on the earth millions and millions of years ago, or it could be about how celestial bodies, animals, people and plants were created simultaneously by a deity six thousand years ago. Now whatever one believes, this becomes ones indirect experience of the world. It becomes a kind of a template, which one may or may not have as a firm point of reference. The convinced religious person that opposes the idea that the world is older than six thousand years most often has a great investment in his or her beliefs. The power of ones belief is therefore a kind of indirect creator of ones reality. Belief differs from ones attention in that it can linger in the subconscious mind for a long period of time, whereas ones attention is most often applicable to that which is happening in the present tense. Beliefs can be about anything imaginable. Our beliefs can literally breathe life into shadows, and life in this regard is meant by as I already established, namely what one is experiencing in ones subjective reality. These two, attention and belief are therefore important keywords to have in mind when contemplating the door of direct experience, as was the keywords person and presence previously. Not that these four words are inescapably linked to each other, though they in one sense are, nevertheless they all have a tangible link to the subjective creating of ones reality. Before we go to the heart of the matter, a couple more important points needs to be clarified on how to how to actually realize direct experience, so follow me! Whenever there is indirect experience, there is the inevitability of boundaries being set up. They can be boundaries that are consciously upheld or they can be ingrained and conditioned boundaries that the society, culture and the family have instilled into the individual. As you probably have figured out by now, indirect experience simply means the interference, filtration or projection that is projected as a layer unto ones reality, which makes it therefore indirect. Consequently direct experience can also be viewed upon as being the same as the dissolution of boundaries. The less boundaries that constrict and asphyxiate your consciousness, the more direct will your experience be. The psychological mind is itself a barrier or a filtration that allows some concepts and experiences to pass through while others are denied or even vehemently combatted. The psychological ego is the biggest boundary of them all; it is in truth, the king of all the other boundaries that your consciousness has set up. All your boundaries need a reference point to refer to, and the ego is it. The separate self is the nexus from which all other personal problems normally refers to when navigating through life as a person, but luckily it becomes quite redundant when one moves in to the purer state of presence. Life lived as presence, means direct contact with reality. Presence is not separate from reality or from other entities appearing in your reality, and presence is not divisive in the same way as the psychological mind is as there can be no real divisions in consciousness. All divisions are beliefs, illusions that may seem internally or externally real, but in reality are not. Reality is one; it is one single totality, although innumerable processes take place in this totality and oneness. Your consciousness is a totality, and direct experience means coming into recognition and contact with this totality. This totality is the functioning of the entire universe, and your awareness is the witness and co-creator of it. This should be seen as a great empowerment of you, not that your presence truly needs empowering, as it is ever empowered and content with itself. But hey, what can you do, sometimes one needs a nudge into the right direction. We can now finally move on to how to actually become more in tune with yourself and your direct experience, we’ll begin by exploring some of the different paths and methods on the way to that mighty high peak of existence. A great adventure lays ahead, the greatest, and that is of course your own adventure! All spiritual and artistic endeavours are one, in that they all share the objective of being more fully immersed in the experiencing of life. This is true no matter if the individuals doing it are aware of it or not. These means can range from music, dance, art, sports, sculpting to prayer, meditation, asceticism and other spiritual practices. All these endeavours share the endpoint in direct experience, although it wouldn’t exactly be right to call direct experience as an endpoint, because it is in some way prior to beginning and end. When one dives into direct experience, time becomes just like any other concept that you’re mind is conjuring up. Art could therefore, from this point of view, be seen as a human activity that is in some subjective manner acting as a time dissolver. The timeless can be communicated through artistic and spiritual endeavours because it brings one closer to direct experience and the present moment. All those above-mentioned disciplines happen to be some of the life empowering doors to direct experience. As the saying goes, “All roads lead to Rome”, well the same goes with each elevated endeavours. The individuals practicing the arts, they all try to empower their lives through the sense of fulfillment that is provided by direct experience. When life is lived indirectly, the sense of fulfillment therefore also will seem absent. The cure for this indirect living is nothing other than the empowerment of ones life through living life as presence instead of a person. Presence is light, person is heavy, presence is spontaneous, person is predictable, presence is universal, person is egocentric, presence is here, and person is not. The person most often is lost in its conceptions about life, and time is an important nexus of those conceptions. Thinking about how life should be, how it is, how it was, how it’s going to be. These are all projections of the person, all the while as your presence is simply and innocently here to experience life. It’s in the nature of presence to live directly, and it is in the nature of person to live indirectly. Not that one should completely stop thinking, unless one wants to reach absolute nirvana, but rather that one should recognize that spiritually and psychologically unhealthy habit in oneself towards indirect experience. As I’ve just stated, the artist or the spiritual inclined individual always strives towards direct experience. However what I left out was that most often the latter, i.e. the spiritual individual is more aware of this fact in some shape or form. The spiritual one’s ideas of direct experience may differ broadly, as for one individual it can be called enlightenment, for another higher states of consciousness, and for others unity with the divine and God. They can have different names but they are all different expressions for direct experience, because if you one day meet God in his high heavens you should sure as hell be present in that moment. Now that it has been stated that direct experience is the goal of all artistic and spiritual endeavours, that now begs the question, how does one reach it? Well the obvious and easy answer would be, considering what I’ve just said, namely artistic resourcefulness and spiritual practices. In other words, grab a paintbrush or dance in the rain, or perhaps you should pick up a guitar and sing your heart out, or maybe recite some poetry to a lover or simply go outside and create a splendid snowman from scratch. The artistic ways are innumerable, and they also happen to be quite satisfying and effective in bringing one more into ones own presence. Well that inevitably brings us to the important point of, what about people that don’t feel all that spiritually or artistically inclined, what about them? The good news is that, you don’t really need to be any of those mentioned above, you simply need to be biologically alive and functional, and perhaps most importantly your essential intuition needs to be recognized and cultivated. When you align your attention with your intuition, you are in that very moment accessing your own direct experience. You become more of presence rather than person, and this as we have established, is a healthy thing. Though this healthy habit or instinct is something that appears to be quite a rarity amongst modern people. Awareness, intuition, attention and presence are the propelling keywords when it comes to achieving a more fulfilled life through the power of direct experience, and none of those concepts are dependant of an certain individuals character, constitution and/or skills. This is because awareness, attention, intuition and presence are innate qualities to the subjective experience of every human being. You simply cannot be alive and not be aware, at least aware in the sense that you are somewhat functional as a biological organism. Because one could argue that a person in a coma, is unaware yet still in someway alive. Nevertheless, this could be considered a different matter that could be tackled in a different time. In the next chapter, I shall outline some of the most effective methods I know of realizing direct experience. So roll up your sleeves and follow me! All elevated activities are, as I proposed just now, mediums for a more direct experience of life. Now except for the path of the artist or the spiritual man. What methods are there, and how do they enable one to become fully and totally absorbed by each and every moment. The methods are many, and that is because life is so vast in its expressions. But for concise- and aptness I will try to make an outline of the ones I have found to be most effective and natural for human beings. The first and most obvious one is to increase your sensitivity to your aliveness or senses. Which simply means that you adopt an attitude where you simply let yourself be guided by your senses more than and instead of your superfluous thoughts and psychological mind. Subsequently this means that one is fully immersed in ones own experience, which then can be called a door of direct experience. You can do this so called sensitivity boosting by putting extra attention to, for instance, the sensation of taste in your mouth and/or extra attention to your sense of smell, touch, hearing, seeing. You can do this so intensely and with such a passionate focus that nothing else remains, but only you and your immediate experience. This is one of the most natural ways of living more directly and in coordination with ones own surrounding reality. This also has a healthy tendency to making you just happy for no apparent reason. Why? Well because in life there is a subtle joy that is always present, the joy of being alive. This is the joy to draw breath, to move around, to see, to hear, to taste, to smell, to speak, to laugh, to smile and even to cry, to grieve, to fail, to fall ill, as from the right perspective there could be found sweetness and wisdom in that as well. These are all innate joys that your consciousness enjoys naturally, thus the fulfilment derived from most of these mentioned states. In conclusion this door of direct experience could always be regarded as readily available, which is of course if you’re awake and aware of your senses. A second door of direct experience is through contemplation or meditation. Meditation is simply the conscious attempt made by an individual to dissolve in the moment he finds himself in. Meditation shouldn’t merely be to silence ones mind, as one who has meditated knows never truly works anyways. Meditation should rather be seen as a conscious diving into ones own consciousness and dissolving in that witnessing. The witnessing of not only ones senses as was the case in the first door of direct experience, but perhaps more importantly, the witnessing of the variety, complexity and innumerability of ones willy-nilly thoughts, feelings, emotions and moods. When this is done properly the meditator is naturally detached and relieved from those mental or emotional objects perceived in her own formless consciousness. Meditation could also be combined with the contemplations of ones own existential situation. These are intellectual contemplations that are about the nature of reality, life and the universe. Listening to Alan Watts, Terence McKenna or reading some Zen literature is for example some concrete ways of going about doing this. These are topics concerning how everything truly is connected with each other; I find that this could give the meditator a more stable foundation on which to rest his meditative insights. That being said, the door of direct experience which meditation provides is in some way much more steady and steadfast compared to the first one. Both are great doors into direct experience, but they have some key differences worth mentioning. In the first door, namely the sensitivity boosting door, the ego or psychological mind could be seen as being simply repressed by the intensity of the moment at hand. The identity in some ways becomes weaker in its projections because the experience becomes so vivid and overwhelming for it. Consequently this means that it truly never is dissolved in the consciousness, as it will pop back up whenever the intensity of the moment subsides. In other words the person persists somewhere in the background even though presence gets a hold of the steering wheel for a while. However this is not the case for the second door of direct experience. Meditation seen from my perspective goes consciously to the root of the psychological identity and dissolves it right then and there. Meditation brings about great inner change, which furthermore naturally brings oneself to ones own immediate reality. Meditation is all about the here and now, and not at all about the past and future which is really where the psychological ego earns his bread. The third door of direct experience is through the medium of prayer as I find it to be a very powerful medium to direct experience. However before we go into the details of this doorway, I of course need to clarify with what I mean by prayer. Involving my conception of the idea of prayer, one does not have to be religious in the traditional sense. The act of prayer is rather the conscious act where one verbally, mentally and emotionally surrenders to something within or greater. It doesn’t have to be a god somewhere in the high heavens, in truth I would recommend that it shouldn’t be in that manner as this act would place this “god” outside of you, and therefore making the whole experience into an indirect one which you most likely by now know that I’m not so hot about. It could rather be seen as a form of earnest string of heartfelt words or mantra that you tell yourself repeatedly so that nothing else but the present moment remains. This door of direct experience is one of the most transformative doors if done with an earnest heart and intention. On a “personal” note, I could tell you about the nature of one of my main prayers that truly worked for me. This was when I found a stable reference point in my consciousness through my meditations. I could begin with saying that I’ve not really been a religious person in my adult life, when I was growing up I was conditioned into some state of religious belief but that quickly waned when I learnt more about the world and myself. Having said that, these prayers were completely spontaneous and almost unexpected for me. They were however most welcome when they did appear, because this was also when I realized the beauty, innocence and power in a pure prayer. Moving on to the actual prayer, when I had found my stable point of consciousness, I could for example say these following sentences to myself, both mentally or verbally. Empty me completely of that which is false and replace me with what is true. Now you may notice the stimulating use of language that was incorporated into my prayers, as they were heavily influenced by Sufi poetry and non-dual teachings. Sometimes they would even bear an amorous and romantic characteristic to them. Silence, deep love and reverence combined with prayer is probably that which worked for me the best. Meditation brought me to the very gates of nirvana, whereas prayer opened unto me the gates. Having said that, I don’t recommend praying if you don’t earnestly and spontaneously feel the desire for it. As John Keats so beautifully wrote in a letter about poetry, “If poetry comes not as naturally as the leaves to a tree, it had better not come at all.” So then should it be the same in regards to prayer, if it’s not natural it’s not worth doing. One important thing to keep in mind when contemplating the doors of direct experience is that they never are forceful or strenuous. They are rather most often quite effortless and natural to your experience as a sentient being. Perhaps in the same way your senses function without you having to “consciously” activate them. Your senses simply are susceptible to input, whether it is your eyes, ears, touch, smell or taste. They all are open gates from which reality is being manifested and experienced through. This is the same, or even more so when considering your consciousness and your direct experience. As I’ve previously said, it is always readily available for you growing more into it. I find this to be such a beautiful gift, a gift that is simply the magnificence of our consciousness. Hopefully by now I have aided you in distinguishing some important aspects of your reality, and from this you can move further to overcome more obstacles life may or may not challenge you with. As you’ve noticed there happens to exist quite a few “methods” of accessing your direct experience, maybe some ways will work better than others for you, but the most important thing is that you are earnest, open and willing, that is to really reap the benefits of this healthy way of existing. However before we wind up, I have one more supremely important idea to share with you, so follow me one last time before you go-go! There may be come a point for some individuals where they simply become weary of methods and practices, when they realize that what they are trying to get access is already and always here anyhow. This individual may sometimes be referred to as a spiritual seeker or a seeker of truth. And as it has been outlined in the previous chapters, there are various ways of diving into ones own experience more fully, from dance, to song, to painting, to meditating, prayer, contemplation, to being out in nature, or simply being more sensitive. There are lots of ways of consciously empowering your own experience. But one may also ask the question, why should one have to do that, why can’t I simply be what I am? Isn’t experience all we have anyways? The answer for that is a healthy and hearty YES. When an individual becomes mature enough there could arise a deep longing to always and without techniques to be in direct experiencing of oneself and of life. I call this for perpetual direct experiencing of oneself and reality, and it is this individual that reaches his own centre, and becomes awake to the truth of reality. All the other techniques can still be employed after one is awakened or enlightened as it is also called, but they are not necessary methods of reaching direct experience anymore. This is because the one who is awake to the truth of existence knows experientially that everything that exists is perpetually in direct experience, whether the personal projections comes into the picture or not. When one has reached this state of seeing and understanding one is not troubled by the psychological mind and its countless mischiefs. The person and its personal thoughts are simply not registered in the same way in the consciousness of an enlightened being. They are simply seen through, each and every time they appear, and subsequently instantly dissolved into nothingness or direct experience. Everything is seen by your consciousness, which is never touched by any experience that appears on the screen of consciousness. This consciousness is who you truly are, and the more you realize and recognize this truth the more you will be fully immersed in the direct and totality of experience. This is the most powerful way of being dissolved in the experience. But this may also be considered to be one of the most challenging, because it immediately challenges your identity and your psychological separate self. And when its existence is challenged it will do everything and anything it can to continue surviving as a separate self. This is the paradox of life and the spiritual quest. How then do I “reach” this state of perpetual direct experience. Well in short, you reach this perfect state by first and foremost knowing your self as the formless consciousness that is responsible for all subjective existence. Knowing also that it is this formless consciousness that is the womb of direct experience and it is in fact the essence of who you are. When this is truly established in your soul, this is when you are free from all practices and teachings. Everything is revealed unto you as it is or as you truly are, because how things are and how you truly are is not different, though it can appear so. If that short answer didn’t satisfy you, and it most likely did not, I can only urge you to look within and discover your timeless, essential nature. This is the gift of consciousness, so use it well and wisely.